I will start out with a drug/pharmacy store. 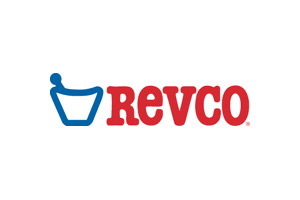 REVCO DISCOUNT DRUG STORES, or simply REVCO, was a major drug store chain that operated in th.e Ohio Valley, the Mid-Atlantic states & the Southeastern United States. When it was sold in 1997 it had over 2,500 stores. It was founded in 1956 in Detroit, Michigan and was originally known as Registed Vitamin Company. It was purchased in June of 1997 by CVS Drugs. By summer of 1998, all 2,552 stores were either closed or re-branded by CVS. MY MEMORY: I remember that we had several stores locally. One of which was adjacent to the old Kroger grocery store in Russell. We would go into Revco often. We got out prescriptions filled there. They used to have alot of the old Atari 2600 video games for sale there and we always bought some. I recall that some of my favorite games came from here. I bought toys such as action figures there. I also bought many comic books & paperbacks here. I bought many of my old hard rock/heavy metal magazines like RIP, Hit Parader & Metal Edge here. I would guess that we shopped at REVCO twice a week. It was a pretty neat little shop.